It’s been a hell of a ride these past few years. We’ve seen a lot of things and met a lot of people. We’ve been to 39 states, and crossed off at least 184 of the 518 suggestions you have put on our map. Not nearly enough, I know, but life on the road is hectic and things don’t always go according to plan. As I write this, I lament the fact that our last blog post was written over nine months ago. Continuing back from there, you have to go back another four months before you get into a period of truly active blogging. It turned out to be a real struggle for us. Although the blog lagged behind, we’ve been busy on the road, mostly sticking to Instagram and Facebook to document the most interesting parts of our travels with a lot less effort. Since our last post, we’ve been to Chicago, Philadelphia, the Carolinas, Florida, Texas, Arizona, Utah, Colorado, and California, not to mention a ton of places in between. But it hasn’t all been peaches and cream. For reasons beyond my control, I lost the job I started shortly after our Minnesota romp and since May of this year, I’ve been looking for a new one. It hasn’t been quite as easy as the media makes the tech job market sound, and with money dwindling we’ve actually been in quite a dire position. The good news is that the hunt is over - I found a really exciting new job! The bad news is that this new job signals the end of our full time travels, at least for now. And to be honest, The Democratic Travelers – as a project – has been winding down for quite some time anyway. We rarely consult the map, and obviously haven’t done any blogging, despite a lot of activity. There are a number of postcards we never got around to sending to people who suggested things we ended up crossing off our list (and we’re very sorry about that). We’ve pretty much just gone where we wanted to go, and would glance at the map to see if we happened to do something that was upvoted. But as ready as we are to retire this travel experiment, we are really heartbroken to be closing this huge chapter in our lives. The reality of the situation really hit home as we made a bee-line from Denver to the San Francisco Bay Area, and stopped off at the Bonneville Salt Flats on the western edge of Utah. 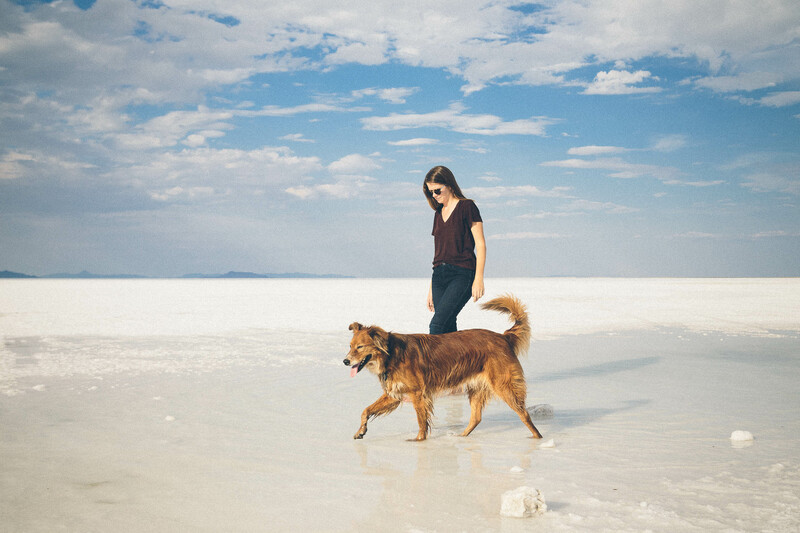 Since this road trip was first conceived nearly three years ago, the Salt Flats were one of the few personal stops I’d wanted to make, regardless of what showed up on our map. As we stepped out onto the salt to finally cross off one of my few bucket-list destinations, we both quietly and separately teared up, knowing this was the last big trip we were taking as The Democratic Travelers. But where one incredible life chapter ends, another begins. Next week, I’ll start my new job as a software engineer for Science Exchange, a company in Palo Alto that connects scientific researchers with laboratories around the world. As an amateur science nerd, I’m really excited to have an opportunity to contribute in some small way to the noble cause of science. On top of that, we’ve both wanted to live in California, at least at some point in our lives, and now is our chance. We’ll continue to live in the Airstream, partly because the rent here is ridiculous, and partly because we already consider it our home. The high price of rent does come with some perks though. We get asked all the time what our favorite place has been, and we often say “Big Sur.” Now that we live in the Bay Area, Big Sur is an easy three-hour drive away. 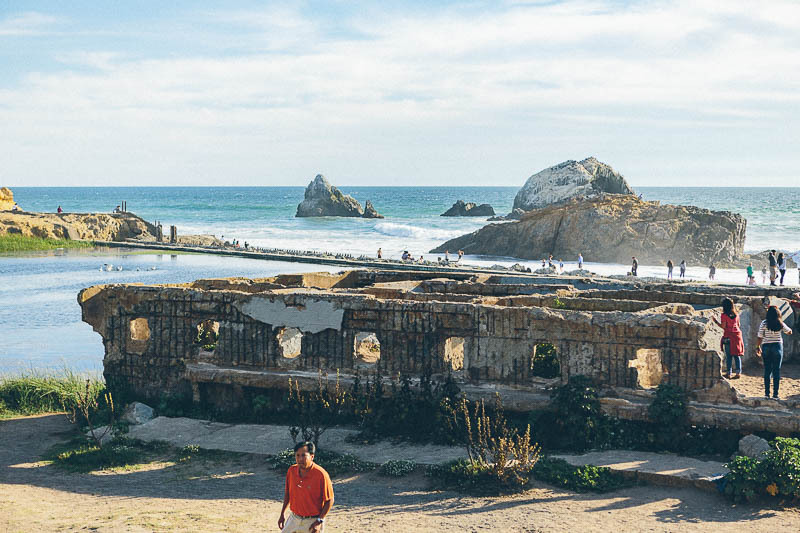 Our new locale gives us easy access to the beach, the mountains, the Redwood forests, and a culturally vibrant city, so the adventures will certainly continue. And with that, we want to say thanks to everyone reading this, everyone who follows us on Instagram or Facebook or Twitter, and everyone who put a pin on our map. It’s been awesome. P.S. This site will stay online for the foreseeable future, so please continue to use the map and the blog for reference in your own travels. We’ll also still be plenty active on Instagram (his and hers, so we’ll see you there!